4. 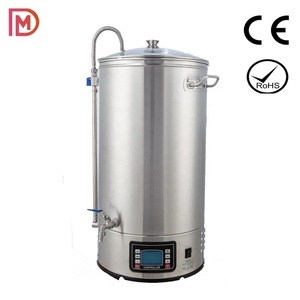 Cooling System Ice water tank Inner Body Thickness: 3 mm , outer tank thickness 2mm Top mounted manway; PT 100 probe; Plate Surface protection, ribbon polished on welds. Refrigeration water fill into ice water tank from the top manhole Discharging method: Ethylene golycol water discharge from the ethylene glycol outlet on bottom of ice water tank. Regrigertation water discharge from the refrigeration water outlet on bottom of ice water tank Chiller: Compressor is USA Copeland; Its power and working capacity will be decided according to whole brewing system. 14 YRS Zhanjiang Bai Shi Jia Electrical Appliances Co., Ltd.
We are specialized in professional design, manufacturing, installation and commissioning of various beer equipments and supporting facilities. 2. 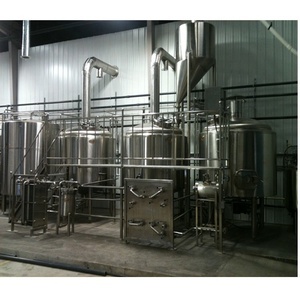 The brewer can also brew draft beer, pale beer, brown beer, stout beer etc, to meet different taste of customers. 4. 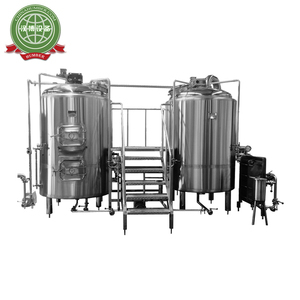 Provide beer production technology and brewing formula, installation and personal training. 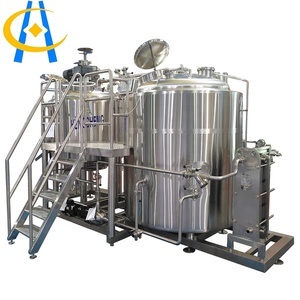 Alibaba.com offers 118,632 machine beer equipment products. About 78% of these are fermenting equipment, 8% are other beverage & wine machines, and 4% are filling machines. 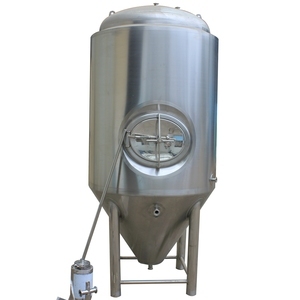 A wide variety of machine beer equipment options are available to you, such as free samples, paid samples. 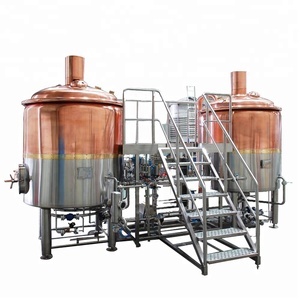 There are 118,632 machine beer equipment suppliers, mainly located in Asia. 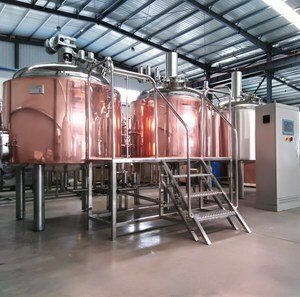 The top supplying country is China (Mainland), which supply 100% of machine beer equipment respectively. 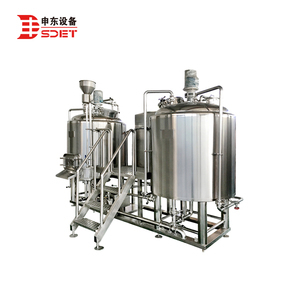 Machine beer equipment products are most popular in North America, Domestic Market, and Western Europe. You can ensure product safety by selecting from certified suppliers, including 72,219 with ISO9001, 10,560 with Other, and 10,515 with OHSAS18001 certification.